Bovine papillomavirus type 1 (BPV-1) is an economically important virus that induces tumourigenic pathologies in horses and cows. Given that the BPV-1 L1 major coat protein can self-assemble into highly immunogenic higher-order structures, we transiently expressed it in Nicotiana benthamiana as a prelude to producing a candidate vaccine. It was found that plant codon optimization of L1 gave higher levels of expression than its non-optimized counterpart. Following protein extraction, we obtained high yields (183 mg/kg fresh weight leaf tissue) of relatively pure L1, which had self-assembled into virus-like particles (VLPs). We found that these VLPs elicited a highly specific and strong immune response, and therefore they may have utility as a potential vaccine. 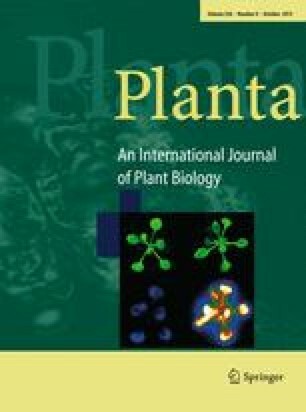 This is the first report demonstrating the viable production of a candidate BPV vaccine protein in plants. The online version of this article (doi: 10.1007/s00425-012-1692-0) contains supplementary material, which is available to authorized users. The authors would like to thank Prof. Lesley Torrance and Graham Cowan (The James Hutton Institute, Invergowrie, Scotland, UK) for helpful and critical discussions. We would also like to thank Profs. Lubna Nasir and Saveria Campo (Glasgow University, Glasgow, Scotland, UK) for provision of the BPV-1 clone. We are very grateful to Prof. Reinhard Kirnbauer and Dr. Sabine Brandt (University of Vienna Medical School, Vienna, Austria) for the provision of insect cell-produced BPV L1 VLPs. This was funded by the EU PLAPROVA KBBE-2008-227056 grant, and the work of AJL, SNC and MT was also partly funded by the Scottish Government’s Rural and Environmental Science and Analytical Services (RESAS) Division.